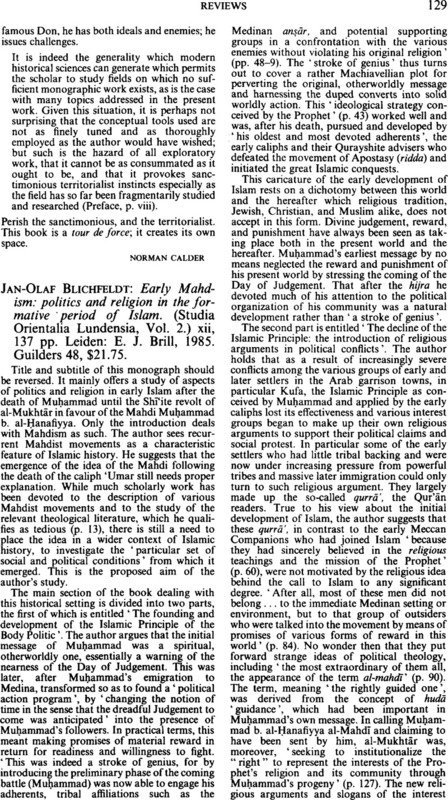 Jan-Olaf Blichfeldt: Early Mahdism: politics and religion in the formative period of Islam. (Studia Orientalia Lundensia, Vol. 2.) xii, 137 pp. Leiden: E. J. Brill, 1985. 137 pp. Guilders 48, $21.75.